I am an artist but I more comfortably refer to myself as a Maker. If you're looking for my work, you are going to find it under the names Maker Made or Meecher Maker. Meet your Maker, everyone and my derby name. I love creating, not really picky as to what. A cake, a painting, a garden, a costume. I like creative challenges. So when my team, Star City Roller Girls, asked me to make the MVP awards for our first bout, I was super excited, if not a little stressed. What if they didn't like them? Well, they went over smashingly. And I got asked to make our awards for the season. Had I known how well they'd been recieved I would have taken more pictures of the process. But its pretty simple and makes epic Olympic medal-esque awards truly befitting the sport of Roller Derby. First spray both sides of your records gold. Two coats did it for me. Cut out and then arrange your letters, using spray glue, tape, or any other stickiness to keep the spray paint from blowing them away. Spray those gold. Consider your theme or team for your inside image. Our first bout was called Slugs and Kisses so lips made sense, and we are Star City so a nice little gold star finished it off nicely. Cut out you shape, if possible, from similar poster board color to the glitter you'll use. Mine was red. Spray with glitter glue and glitter away! Repeat process for max glitter effect. Take your letters and do the same but with gold glitter. Spray. Glitter. Repeat. Time to assemble, so lay out your letters and images where you want them on the record. Whip out your hot glue gun and stick those bad boys down! Lastly, attach a ribbon with hot glue to the back of the record. I covered the site with a piece of poster board that I printed the bout, date and team names on. Watch those MVPs glow with pride! Do all the awards at once. All the records can be sprayed at the same time, all the letters. Do the glitter images in one batch, then once you have all the pieces done, you can put the awards together real quick. Have newspapered surfaces set aside for spray gluing and spray paint. Spray glue is the worst mess-wise but it works well and quickly. Get a sturdy, wider ribbon. Mine had wire in the edges. Consider your team colors and your bout theme when choosing image and glitter colors. Instead of making your own image you could use an altered poster from the bout, team logo or any other printed image. The records could also be painted to look like wheels, our anything really. Remember to love what you're doing and have fun. Coming Soon: Our next bout is Post Tax Smacks and I'll be showing you how to make awesome big fake check awards. More pictures, I promise. Did you use this tutorial to make your team awards? Have more ideas? Share them in the comment section! 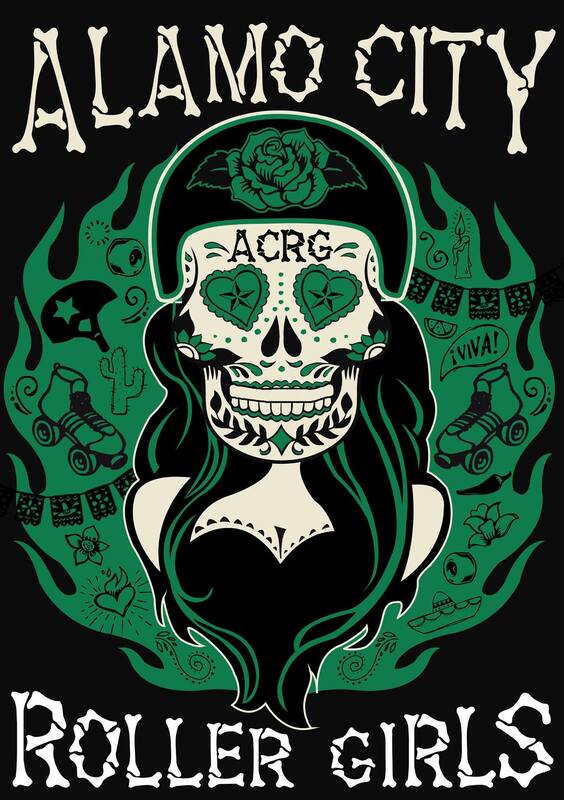 Current new skater for WFTDA apprentice league based in Roanoke, VA called Star City Roller Girls. I will be celebrating two years of derby in June 2015. 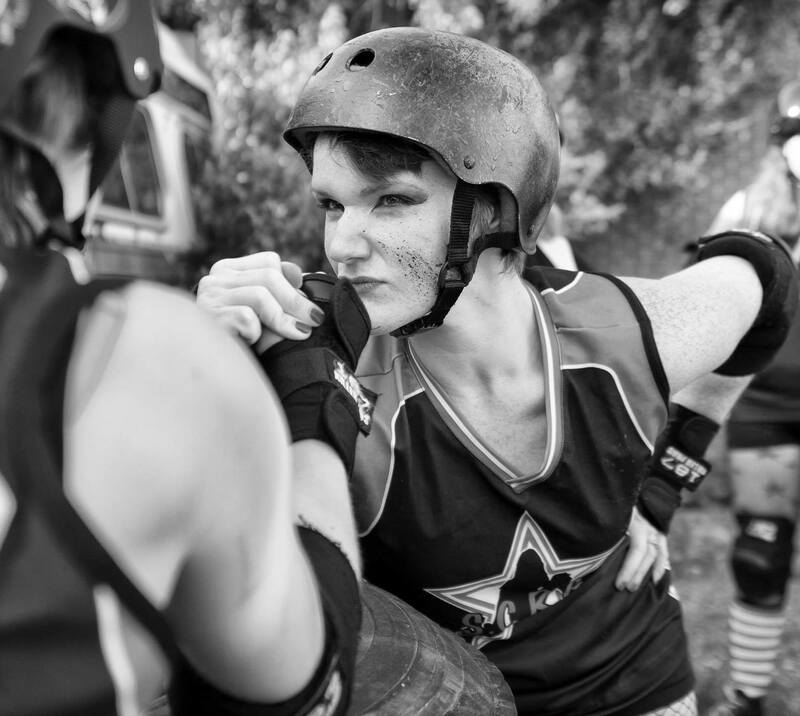 Roller Derby is a driving force in my daily life and my derby sisters are an inspiration both on and off the track.